Writer Rachel Bright and artist Jim Field made their names with picture books like The Lion Inside, The Koala Who Could and The Squirrels Who Squabbled. 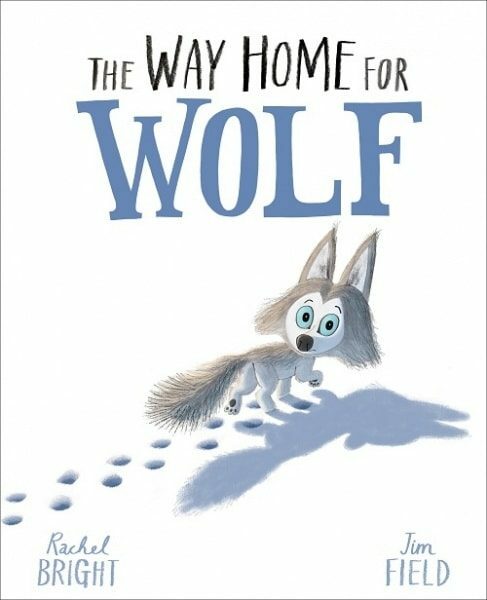 Their latest story, THE WAY HOME FOR WOLF (Orchard Books, £12.99), is set in a bitterly cold Arctic landscape and tells how a fiercely independent wolf cub loses his way in the snow. Tired and alone, he soon discovers that everyone needs a helping hand sometimes. An enthralling rhyming book that will make pre-schoolers chuckle and make them think. Emily Haworth-Booth’s debut picture book is a delight from start to finish. Thought-provoking and original, THE KING WHO BANNED THE DARK (Pavilion, £6.99) is the story of a young prince who’s afraid of the dark. When he becomes king, he bans the dark altogether, installing a vast artificial sun and imposing fines on people who switch their lights off. But as time goes by the king wonders if he’s made a mistake. 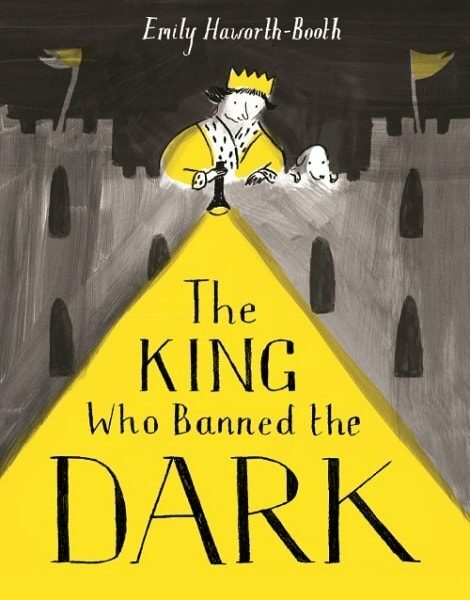 Beautifully illustrated in black, white and yellow, this is a modern fable for our times. 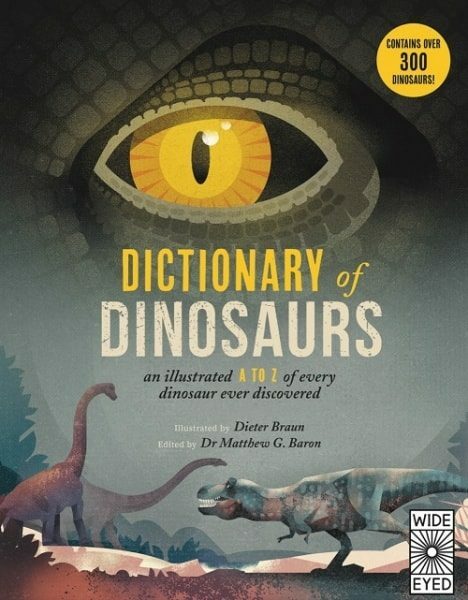 If your children are fascinated by dinosaurs then DICTIONARY OF DINOSAURS (Wide Eyed Editions, £14.99) is the book for them. Written by Matthew G. Baron and illustrated by Dieter Braun, this detailed alphabetical guide to every dinosaur that’s ever been discovered is full of fascinating facts and easy to read. From the Aardonyx to the Zuniceratops, it explains where and when dinosaurs lived, what they ate and how big they were. Claude is a small dog clad in a natty red beret and a chic red sweater. If your children haven’t discovered Alex T. Smith’s witty Claude stories yet, they’re in for a treat. 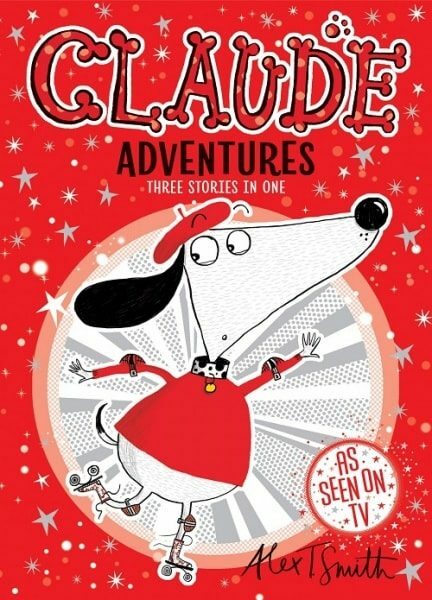 CLAUDE ADVENTURES: THREE STORIES IN ONE (Hodder Children’s Books, £9.99) is a treasury of the hound’s best adventures, including the day he and his best friend Sir Bobblysock stumble on to a film set. The tales are captivating and funny – no wonder they’ve been snapped up by the Disney Junior TV channel. 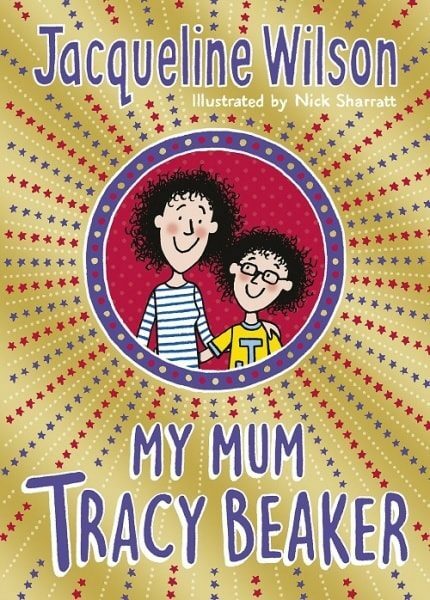 MY MUM TRACY BEAKER (Doubleday, £12.99) is a must-read for Jacqueline Wilson fans young and old. Seventeen years after her first Tracy Beaker novel was published, Wilson returns to the much-loved character. Tracy is now a grown up, living with her daughter Jess in a tower block. Jess thinks Tracy is the best mum ever but everything changes when Tracy’s rich footballer boyfriend whisks them off to a new life of luxury. A wonderful read that completely lives up to expectations. ‘If there is one lesson I’d like kids to take away from my stories, it is that reading is fun,’ says writer Jeff Kinney of his bestselling Diary of a Wimpy Kid stories. In just over a decade Kinney’s books have sold more than 200 million copies worldwide and garnered a multitude of young fans. The latest, THE MELTDOWN (Puffin, £12.99), is the thirteenth in the series and like its predecessors, is part comic strip, part novel. 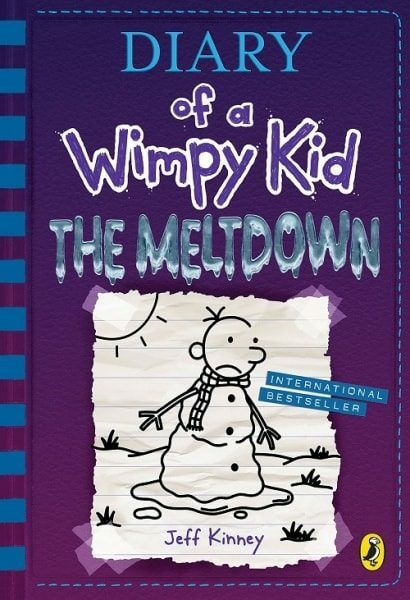 This time round a wintry blast shuts Greg Heffley’s school – and sure enough, chaos ensues. 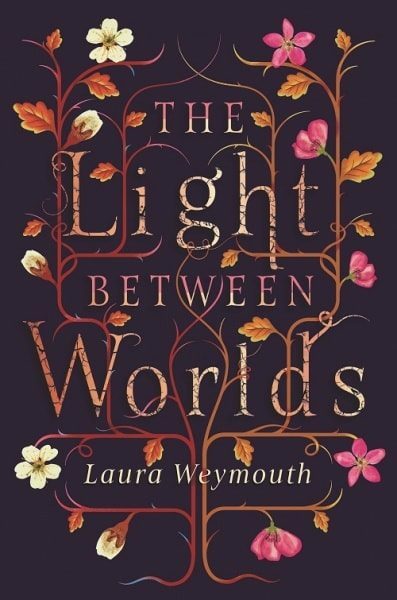 THE LIGHT BETWEEN WORLDS (Chicken House, £7.99) is a captivating read for 14-year-olds and up. Laura Weymouth’s debut novel follows the adventures of siblings Evie, Philippa and Jamie as they’re transported from wartime London to a magical woodland realm. But when they return to ordinary life Evie can’t readjust, longing to return to her beloved woodlands. This poignant story, inspired by the author’s love of CS Lewis’s Chronicles of Narnia, includes scenes featuring depression and self-harm which some readers may find distressing. When Anthony McGowan started writing Brock, his gritty account of two teenage brothers whose father turns to drink when their mother walks out, he never envisaged he’d produce three more books about the pair. ‘But each time I typed “The End” I had a feeling that somehow Nicky and Kenny’s story was unfinished,’ he says. 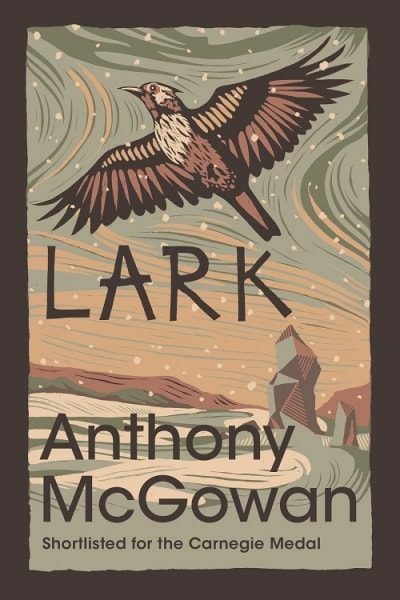 The fourth in the series, LARK (Barrington Stoke, £7.99), sees the duo setting off on a trek across the Yorkshire moors in freezing conditions. As with McGowan’s earlier books – Brock, Pike and Rook – this is a powerful and heartrending tale. The Truth of Things, a collected edition of all four novellas in one volume, is out this month too (January).